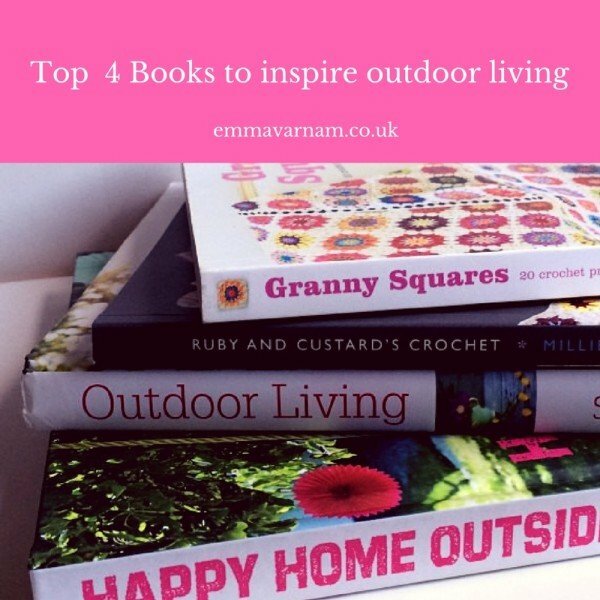 I have chosen my four top books that will inspire your outdoor living and creativity as we edge into an Indian Summer. I always find that September can be one of the best months to enjoy entertaining in the garden. Even though the holidays have to come to the end, weekends and evenings are still deliciously sunny. Firstly lets look at crochet. I simply love this book Granny Squares by Sue Pinner. Sue is one of the Stylecraft Blogstars and her Carousel CAL is going to be a huge favourite. Her colour combinations in this book are fresh and vibrant. There are a fine range of projects. Her jam-jar tealight cover is very similar to the one I made last year for our garden. If I can in the next week, I will be making some more. 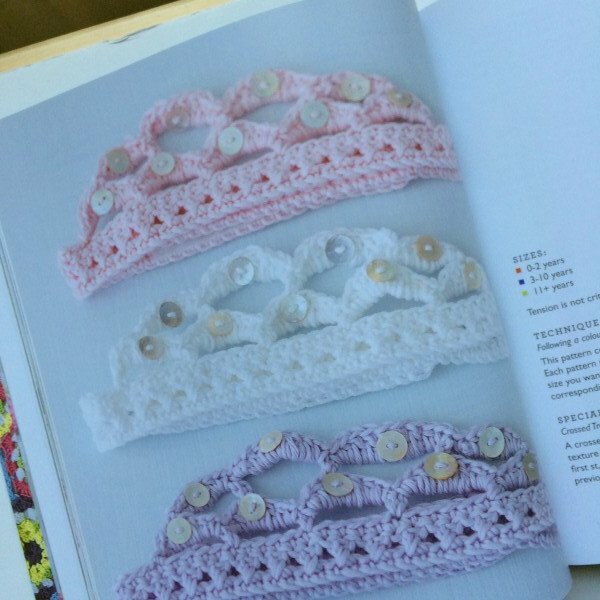 I do really like there blanket patterns in this book and there are a few that I would put on my must-do list. If you are on instagram I would certainly recommend following Sue’s account. She shows you the pretty designs she has in progress. 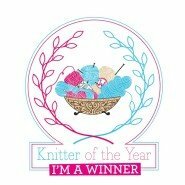 It is also worth mentioning that this book is up for an award in the Knitting and Stitching Awards 2016. 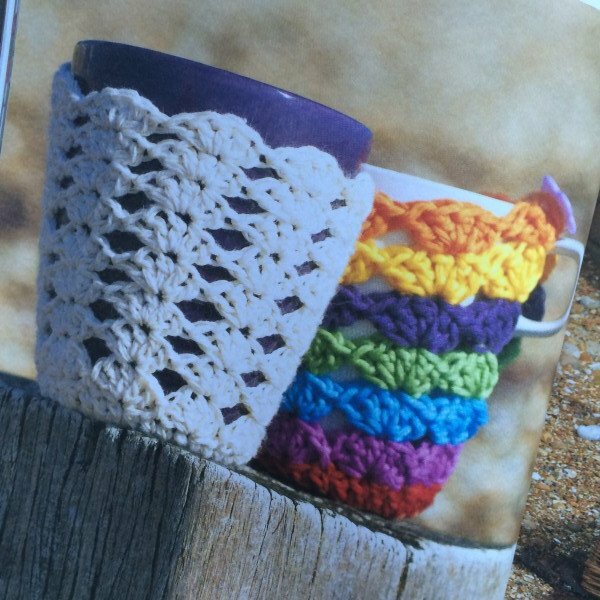 A top recommendation for your crochet book library. Secondly please do pick up a copy of Ruby and Custard’s Crochet by Millie Masterton. This is such a pretty, pretty book. There are so many designs I which I had thought of myself – so there you go – you couldn’t get a more ringing endorsement. Top of my list for an outdoor party or play are the princess tiaras and the pirate play-set. I know some gorgeous little people who would love to romp around the garden with these little accessories. The Flower Hexagon Blanket is another favourite design. I would also point you to some great Christmas decorations at the back of the book which will make superb gifts. For a little bit of instant inspiration I would suggest popping over to Millie’s Blog, which is very very pretty – Ruby and Custard. Next on my list is the gorgeous Happy Home Outside by Rice DK founder Charlotte Hedeman Gueniau. I have followed and loved Rice products for a very long time. The aesthetic is bright and colourful and chimes very much with my heart. 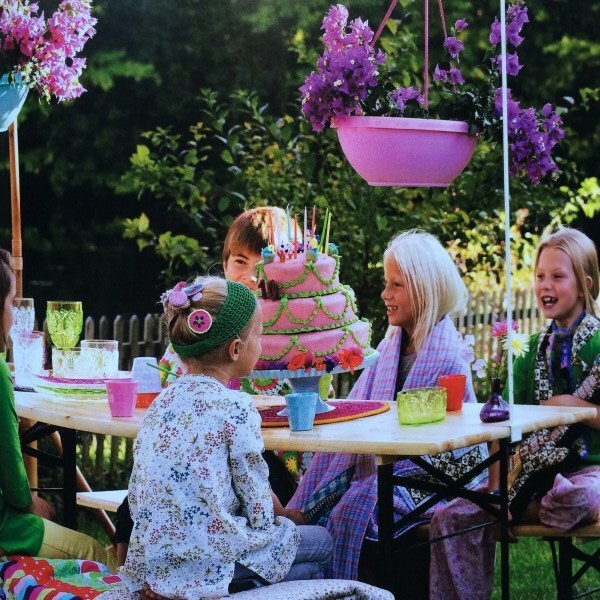 The book does include plenty of products by the Danish company, but also has many ingenious ideas for creating fun and funky outdoor spaces for entertaining. There are a number of great recipes which I will be trying this September. This is a ‘Happy’ book which I keep permanently by my bed and helps me dream of long days spent in joy and laughter with friends. Finally, my absolute key recommendation is Outdoor Living by Selina Lake. I have already blogged about this book a number of times, but it couldn’t be left off my list as it has been so influential in our garden over the past two years. There is a joyful spirit to all of Selina’s work and something quintessentially English about this book. 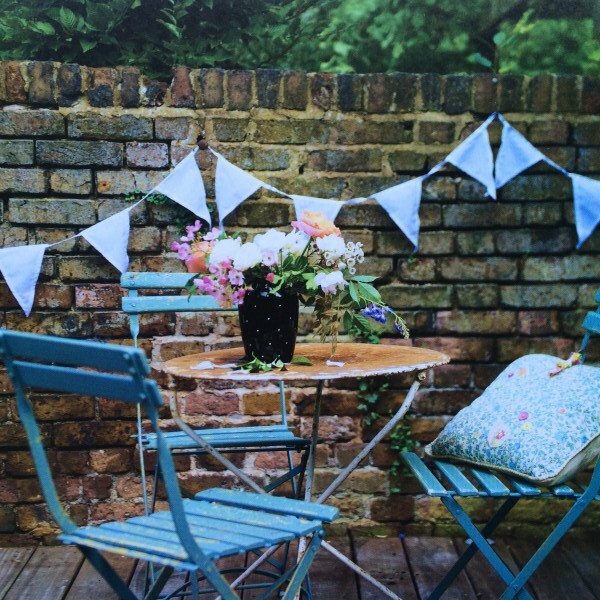 She mixes flowers, with blankets, with rugs, with bunting and vintage crockery to create delightful scenes. Suddenly you feel inspired to throw a party. I have always been so glad I bought this book. It helped me convert my brain to seeing the garden is not just a green space but an extension of our home. With all these books the links will enable you to view and buy. But I am also an avid Library user and my top tip is to check if your local Library stock the book. Then reserve and borrow to see if I want to make a later purchase. Finally if you are look at some additional inspiration – go to the fabulous blog by Alexandra Campbell. 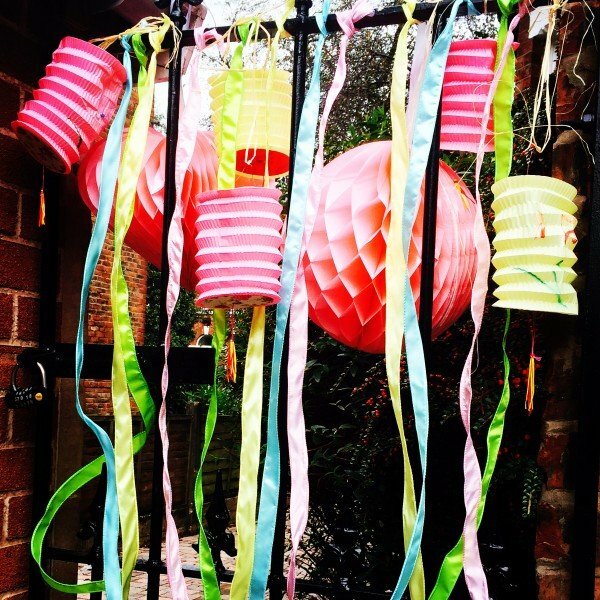 She has done a wonderful post on great ideas for garden parties.